We Offer Tungsten Electrodes for Tig and Plasma Welding. Announcing the sale of high quality, low cost tungsten electrodes for GTAW and PAW welding. Thoriated, ceriated and lanthanated electrodes are in stock. Both TIG and Plasma processes require tungsten electrodes to generate the arc for welding. For most applications, 2% Thoriated tungsten has been used as the general purpose electrode material. With this electrode almost all materials can be welded including aluminum. Over the past few years, several other tungsten electrode types have been formulated that offer specific advantages for certain applications. Cerium has replaced Thorium for a tungsten alloy that offers great arc starting performance with no radioactivity like thorium. Lanthanum has also been added to improve arc starting and offers better performance for certain applications. The standard for most applications, but is slightly radioactive. Works well for DC welding and can be used for AC welding on aluminum for non-critical applications. Has some tendency to split if used for aluminum and the electrode is contaminated. Electrode is not radioactive and offers excellent DC welding capabilities. Can also be used for AC welding of aluminum. Electrode is non radioactive and offers excellent DC and AC welding capabilities. Can be used for AC welding of aluminum. The proper choice of electrode type can improve welding processes by offering improvements in arc starting and offering longer life between re-sharpening. For very low current applications, the Ceriated and Lanthanated Tungsten Electrode materials can give much better performance. Our Electrodes are ready for purchase over the internet or by purchase order. Discounts are available on orders of 10 or more boxes. The tungsten electrodes are 7” long and diameter sizes from 0.020 up to 1/8”. Visa, Mastercard and American Express orders are accepted. Contact us for pricing, technical information or free tungsten electrode samples. Process Welding Systems also offers Plasma and Tig welding power supplies, weld programmers, plasma welding torches, welding lathes and positioning devices. 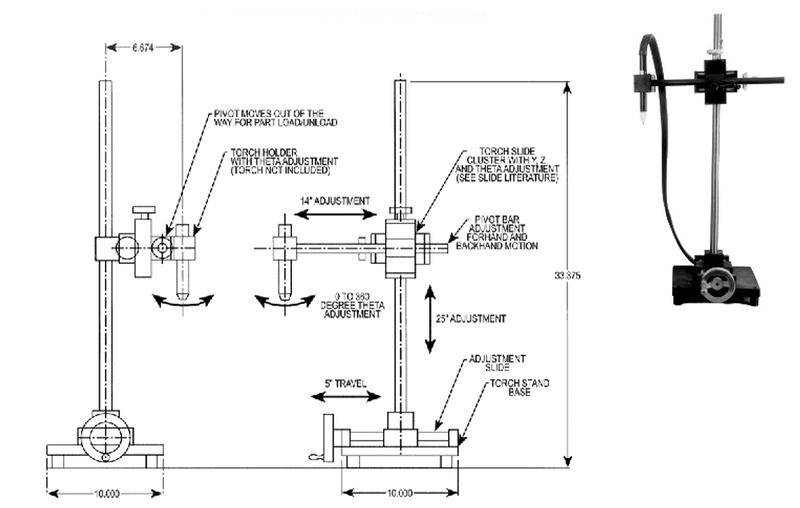 Custom automation systems, custom welding systems are designed and built to meet demanding customer specifications with accuracy and consistent weld quality results. Complimentary sample welding and weld development assistance are standard services. CHECK LIST FOR CONTAMINATED ELECTRODE, DIRTY WELD NOZZLES AND PLASMA TORCH CARE. A dark blue or black tungsten (Figure B) is a sign of moisture or oxygen getting into the plasma gas line (also called the pilot gas line). If the gas is good quality and the gas lines are leak free the tungsten should remain a gray color (Figure A) not dark blue or black. Moisture and oxygen in the gas lines deteriorate the tungsten electrode and thus the number of arc starts that the tungsten electrode can produce is reduced. This cuts down on the number of arc starts in production and decreases production. Any leaks in the gas lines or fittings can allow air to be sucked into the gas system which adds oxygen and moisture to the welding gases being used. Levels of oxygen and water should be less than 5ppm. The most important gas in plasma welding is the pilot gas, also called plasma gas, is always argon gas. The grade of argon being used should be at least 99.998% pure argon. In plasma welding if the gas is not pure it will contaminate the tungsten electrode and turn the tungsten electrode a dark blue and black color. If the problem is very severe the discoloration will run all the way to the point of the tungsten electrode and the nozzles on the torch will clog up. trap gas in between the tip of the torch nozzle and the argon gas bottle. Take a reading on the high pressure gas gauge of the gas regulator. Wait 15 to 30 minutes. If the gas system is leak free the gauge reading will stay the same as when the gas bottle was turned off. If the gauge pressure drops then there is a gas leak in the system. The leak could be caused by a hole in the gas hoses or defective fittings and gaskets. If the system has a leak you must then go through and check fittings to make sure they are tight and make sure that gaskets are sealing. You can also pinch the plastic hose where the torch connects and trap gas from where the hose is pinched back to the regulator and see if still leaks thus working your back through the gas system. Check for cracks in the torch body. If the torch has a back cap check the o’ring on the cap and check the cap for holes or cracks. After it has been determined that the gas system is leak free the system needs to be purged. By purging the gas lines it will clean all of the moisture and oxygen out of the lines so that you will only have good clean gas in the system. Turn the pilot gas flow up to its highest flow rate and let the gas run through the lines for at least 30 minutes to and hour. Next start a pilot arc and let it run at normal pilot arc gas settings (0.4 to 0.6 liters per minute) for 10 minutes. Turn off the pilot arc and check to see if the color of the tungsten electrode is gray. If it is gray your gas system is clean. If the color is black and blue then the system needs to purge longer to make sure it is clean. If your welding system is shut down over night air with oxygen and moisture will get up inside the plasma torch. Before starting to weld on the next day you need to again purge the gas lines approximately 5 to 10 minutes before starting to weld. You may want to turn the pilot gas down to a very low flow such as 0.1 liters per minute and let the gas run all night to keep the gas line clean. It will be such a low flow that it will not be of any economic importance. When the pilot arc is turned off let the gas continue to flow for at least 10 to 15 seconds before turning off main power. The gas flow will keep the tungsten electrode from oxidizing until it cools down. Whenever thinking about electrode life, electrode contamination, ease of arc starting and arc stability you should not forget that the exchange of ions takes place within the plasma column in both directions which is from the electrode to the work piece and from the work piece to the electrode. If impurities such as lead, sulfur, aluminum, magnesium, copper, zinc, brass, oil, grease or any other dirty elements are on or in the material being welded they will contaminate the tungsten electrode and nozzle. You then cannot count on a maximum number of welds before replacing the tungsten electrode and weld nozzle. 10. Clean the nozzle orifice with acetone or alcohol and a Q-tip. A round wooden toothpick can be used to clean the orifice of the nozzle. Weld nozzles trap contamination during welding and will need to be cleaned every time the tungsten is re-ground. torch head that you do not over tighten the nozzle and strip the threads. Copper is a very soft material, which makes it easier to over tighten the nozzle. Tighten the nozzle until it barely makes intimate contact with the end of the torch head. It is recommended that pliers be used to tighten the nozzle but be careful not to grab the torch head with the pliers. Also be careful not to cross thread the nozzle. If the nozzle is cross threaded it will damage the threads inside the torch head. Do not get dirt, grease or oil inside the torch head or on the nozzle threads, which will damage the threads in the torch head. If the torch head is damaged by the pliers it can cause a gas leak between the nozzle and torch head and the nozzle will not seat properly against the water cooled part of the torch head. If the threads are stripped and the torch head is damaged the torch will have to be replaced. Periodically clean the inside of the torch and thread where the nozzle seat with alcohol of acetone. Make sure that the technician that handle the torch and installs nozzles hands are clean. Dirt, oil, grease and grit is not acceptable on any of the torch parts. The plasma welding torch is an expensive device and should handled with great care. 13. The type of hose material that the pilot gas and shield gas are passed through is very important. All plastics can have moisture and oxygen that diffused through the walls of the hose material. When welding sensitive materials such as titanium the welding system may need to plumbed with stainless steel gas lines. Black anodized aluminum slides with steel adjusting screw mounted in a bearing – Phenolic saddle adjusts with screws instead of gibs – Knobs for manual slide adjustment.
. For further information call ore write: Process Welding Systems, Inc., 72 Buchanan St., LaVergne, TN 37167. Phone 615-793-7020, Fax 615- 793-7020, e-mail: sales@processwelding.com, website: pwsweld.com . 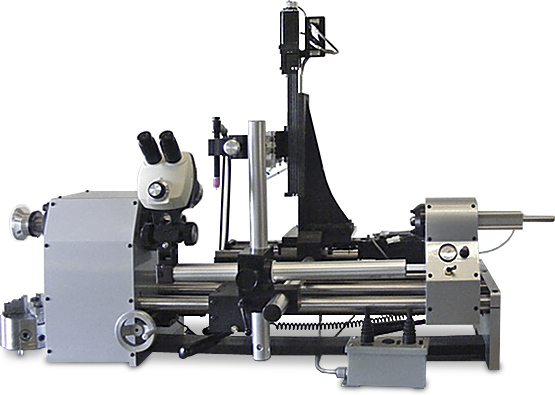 Tip flat diameter measurement scale. Repeatedly prepares the same tungsten geometry. Rugged unit is ideal for continuous production. 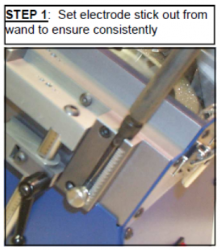 A universal electrode wand holds the electrode securely and at the closest possible proximity to the grinding contact point. 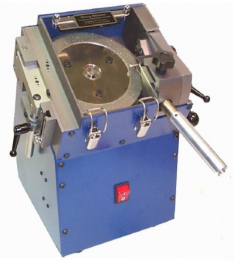 This produces concentric grinding not available on other grinders that use electrode guides/bushings with loose fit-up and get even looser after use. The Sharp Shooter™ as no problems with odd sized electrode diameters. 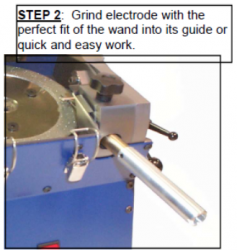 Every electrode size is gripped tightly to ensure precision grinding. The grinding and cutting areas are enclosed and provide a Plexiglas window for viewing. This keeps potentially harmful dust away from the lungs, sparks away from the eyes and fingers free from injury. Safety officers are especially pleased with the design of this equipment. Designed so that anyone can easily grind, flat and cut tungsten electrodes with repeatable accuracy. There are no complicated adjustments, special tools requirements, or difficult time consuming setups. The wand allows for one-touch grinding, flatting and cutting. This is not a bench grinder with tooling attached as an after thought. 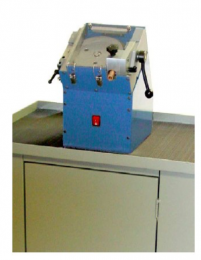 It is a purpose built, dedicated machine tool for accurately preparing tungsten electrodes. Steel work cabinet with quiet, integrated 1 micron vacuum filtration system (HEPA 0.3 micron filter also available). One switch turns on/off the grinder and vacuum. After switching the system off, there are three seconds of additional power provides to the vacuum to clean the system. Welding of small components with critical tolerances is enhanced with precision welding equipment. 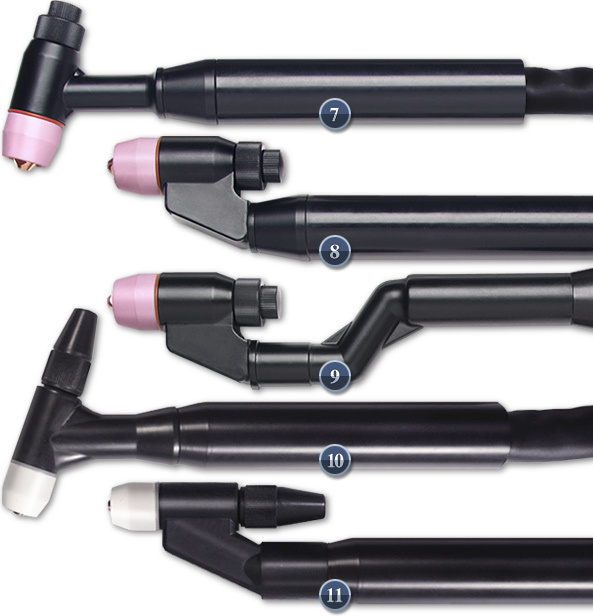 Improved product quality and reduced scrap rates for surgical instruments, tube end closures, guide wires and similar critical components are achieved with greater manufacturing control offered by the Plasma Welding process. 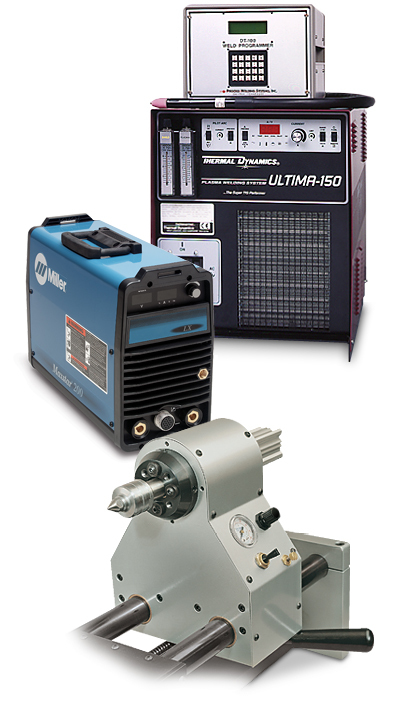 Affordable turnkey welding systems can be provided with a welding power supply, weld control, fixture and tooling. Weld development assistance, weld training, sample welding and service training can be provided. For further information call ore write: Process Welding Systems, Inc., 72 Buchanan St., LaVergne, TN 37167. 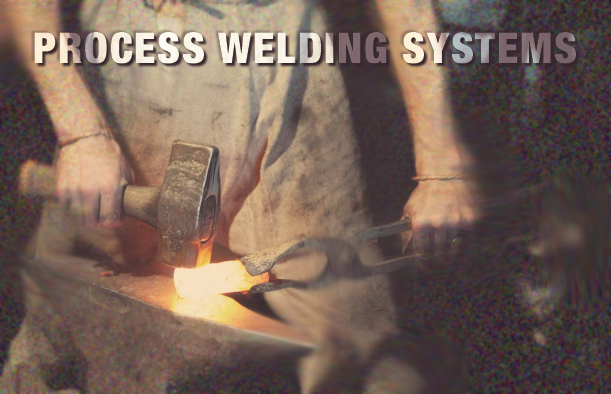 Phone 615-793-7020, Fax 615- 793-7020, e-mail: sales@processwelding.com, website: pwsweld.com . High quality precision plasma welding torches designed for easy set-up and long life. 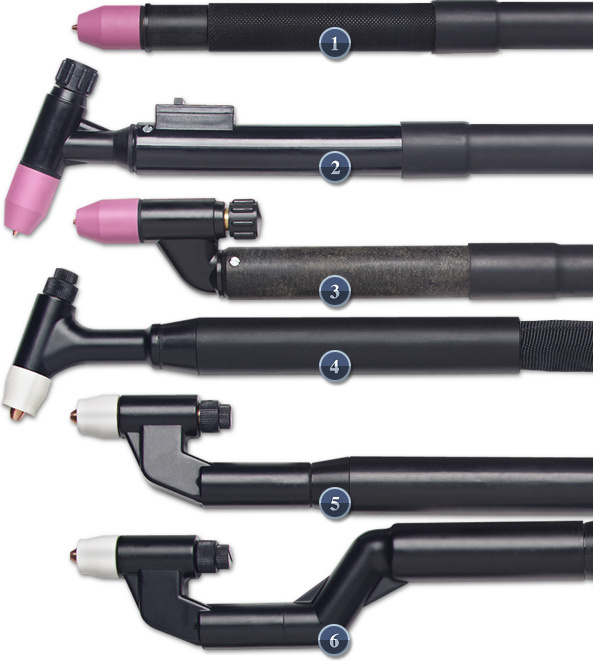 These torches are water cooled with no risk of water leakage when replacing parts. Torches can be supplied with connections to Thermal Arc®, Oerlikon®, Liburdi® and Essetti® power supplies. Ask us about special length torch cables, deflection nozzles, special nozzle sizes, torch spare parts, tungsten electrodes, parts for MuWeld® torches and trailing gas shields. Read about our 50 amp plasma torch and others below. Metalworking has played a crucial role in human history. Part science, part art and part practical fabrication, metalworking has been an essential driving-force in the development of human society and continues to be central to our capability and development. Like all industrial processes, metalworking has undergone massive changes throughout our history. However, in many ways, the essential elements of metalworking — forming, casting and joining — remain surprisingly unchanged from the days of our ancestors. Metalworking is a craft that has allowed secondary processes to develop and was crucial in helping different societies to develop wealth, essential technologies and useful tools throughout history. Societies with advanced metalworkers have always had an edge in terms of wealth and relations with other nations. Today, we may take metal for granted, but it is important to remember that extracting, processing and working with metal is a very highly advanced process. In fact, it is truly amazing that human beings discovered it so early in our history — and that many civilizations developed these technologies independently from one another. There is evidence that humans were forging copper as early as 8700 BCE, and civilizations around the world were working with metal by 6000 BCE. Most ancient metalworkers typically worked with iron, tin, lead, copper, mercury, silver and gold, developing different processes for extracting, forming, casting and joining materials. Metalworkers have always been very important to how our society functions, but in ancient times, metalworkers were so important they sometimes directly influenced the economic prosperity of a town or village. Metalworkers often forged a connection between different villages and communities. Their sharing of knowledge and technique helped to form bonds between groups of people that otherwise often had very little in common. Three major branches or components make up the art and craft of metalworking. 1. Metal Forming: Metal forming is the process of shaping and reshaping metal using mechanical force or heat. The shape and structure of the piece of metal are altered without adding or removing any materials. To help you picture the process, imagine shaping a piece of Play-Dough with your hands. Though easier, it will give you an idea of the process that metal formers go through to create a new item. Metal forming is essential to metalworking, providing the main pieces that make up larger components of the appliances, tools and electronics that we use every day of our lives. 2. Metal Casting: Metal casting is an art that has truly helped to make mass production of metal products possible and affordable. Metal casting involves creating a mold that molten metal can be poured into and allowed to dry. The final product is a new and standardized shape of metal that can be specialized in any way needed. 3. Metal Joining: Once essential metal parts have been formed and cast, there also needs to be a way to join them together! Metal joining can be done in many ways, and the choice may depend on the metal being used, or the way a product will ultimately be used. Joining might be done through heating and melting metals to act as a solvent to create a bond. In some other cases, metalworkers will use a process called riveting, creating special holes and assembly points to bring parts together — very much in the same way a door hinge functions. Riveting is an ancient process of metal joining that is still sometimes used today, particularly in artisan metalworking. Many metalworkers specialize in one branch of metalworking, working in connection with other professionals to bring together the best possible finished products. Today, metalworking continues to play an essential role in our daily lives, and many of the processes we continue to use aren’t as different from ancient man’s as you might think! As mass production ramped up throughout the 1900s, metal became a household staple in countless ways, being used for everything from appliances to decorations to lunchboxes. With this change came a lot of development for metalworkers, who have found new ways of meeting challenges, better ways of forming and discovered more efficient casting techniques over time. One of the biggest developments in metal joining in the past two decades is the development of new adhesives, capable of joining metal without the need for soldering, brazing or welding. These glues and adhesives have helped to modernize metalworking and make it faster and more efficient. In some ways, the introduction of metal glue has also helped to narrow the field of metalworkers to specialized work. Now, more assemblers than ever can join metals quickly and easily, without the need for expert soldering, welding or other joining services. What’s more, average people have more adhesive options than ever, even when working with metal, which is excellent news for homeowners and those in construction. Glues and adhesives that allow metals to bond have made the metalworking industry more efficient over time. There are many solutions for small working projects and even glue guns that contain glues for bonding metals of all kinds. This makes metalwork assembly faster, more efficient and more accessible to more people. When our ancestors began working with metal, their access to knowledge, materials and supplies was very limited. Metalworkers were restricted to the local area in which they worked and resided, with limited connection with other parts of the world. Today, advanced shipping techniques and the possibilities created by globalization have allowed metalworking to become a truly global force, and many of the metal pieces combined to make the appliances we use every day come from all over the world. Although plastic has emerged as one of the most popular and durable manufacturing products in the world, metal and metalworking are still essential to the manufacturing industry. The future of the metalworking industry is bright. As electronics and home appliance manufacturing develop, metalworkers are challenged to find innovative solutions to creating smaller, more compact and more easily assembled cases, housing and appliance suppliers. Durability without too much weight or bulk is the demand of every manufacturer, and metalworkers continue to rise to the challenge. 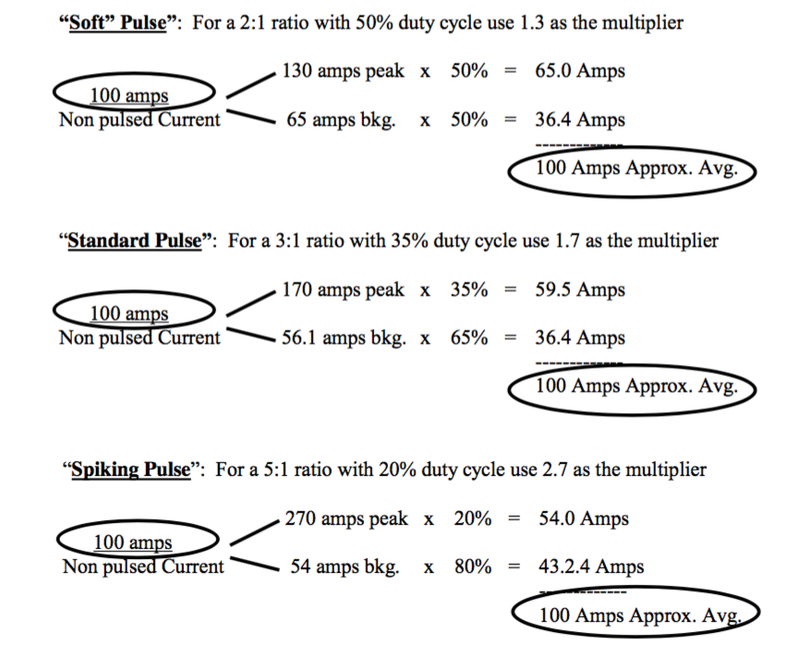 Arc pulsing involves four welding parameters; Peak current, background current, pulse width (duty cycle or percent – on – time), and pulse frequency (pulses per second). Although the parameters are most often chosen and changed according to the specific needs there are some industry standards that have been developed as starting parameters. Experimentation and experience will determine the final weld parameters chosen. Step One : Average Current Required : Using the power supply in the unpulsed mode, establish the weld current required to melt and fuse the materials to be welded. Some times this weld current can be calculated using the 1 amp per 0.001” of material thickness rule. Example: If the material thickness or depth of weld penetration is 0.060 then 60 amps of average weld current will be required. Continue to increase the weld speed and current until a point where the arc and weld are still giving consistent results. Varying the pulsation rate may also give a more stable arc for a given set of parameters and thus more consistent weld results. Experimentation and experience will determine the final weld parameters. Our expertise, through the years, has been in PAW (Plasma Arc Welding) and GTAW (Gas Tungsten Arc Welding). It has been our experience that very clean gas in low amp plasma arc welding is very important. 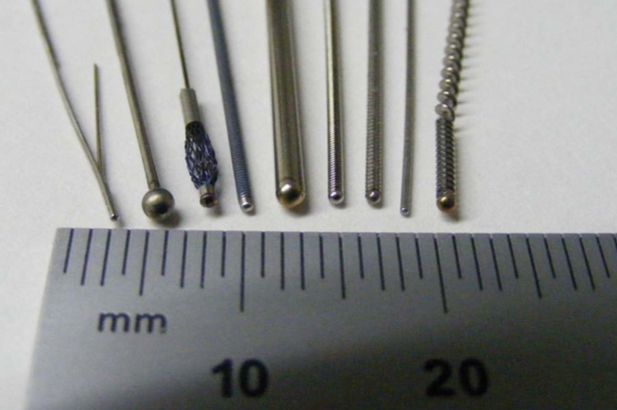 A wide variety of tungsten electrodes can be used during welding. Most welders prefer thoriated tungsten electrodes, but others like ceriated or lanthanated tungsten electrodes. It is difficult to determine which is best. The welder must consider his welding application, type of gas used, type of power supply, pulse rate, material being welded, etc. 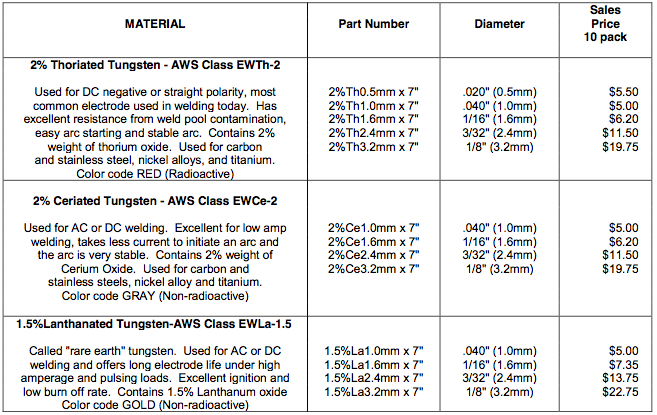 See the Attached Tungsten Sheet. Please feel free to use the “Check List for Contaminated Electrode, Dirty Weld Nozzles and Plasma Torch Care” and the Tungsten Information Sheet. Pass them on to your welding engineers and welding technicians. A dark blue or black tungsten (Figure B) is a sign of moisture or oxygen getting into the plasma gas line (also called the pilot gas line). If the gas is good quality and the gas lines are leak free, the tungsten should remain a gray color (Figure A) not dark blue or black. Moisture and oxygen in the gas lines deteriorate the tungsten electrode, and thus the number of arc starts the tungsten electrode can produce is reduced. This cuts down on the number of arc starts in production and decreases production. Any leaks in the gas lines or fittings can allow air to be sucked into the gas system which adds oxygen and moisture to the welding gases being used. Levels of oxygen and water should be less than 5ppm. The most important gas in plasma welding is argon, which is used for the pilot gas (also called plasma gas). Argon being used should be at least 99.998% pure argon. In plasma welding, if the gas is not pure, it will contaminate the tungsten electrode and turn the tungsten electrode a dark blue and black color. If the problem is very severe, the discoloration will run all the way to the point of the tungsten electrode and clog the torch nozzle. To check for gas leaks, install a bottle of gas on the pilot gas line. It is recommended that the gas bottle be used with a dual stage regulator with a stainless steel diaphragm. Next, take a nozzle for the torch and solder the orifice of the nozzle closed. Clean the nozzle, after soldering, with acetone or alcohol, and install a small o-ring that will make a seal when the nozzle is screwed into the torch and hand tightened. Make sure that where the nozzle seats against the torch body is clean and free of dirt. If the nozzle does not seat well against the torch body, a gas leak can occur. Turn the pilot gas flowmeter up to its highest flow, and turn off the argon gas bottle. This willtrap gas between the tip of the torch nozzle and the argon gas bottle. Take a reading on the high pressure gas gauge of the gas regulator. Wait 15 to 30 minutes. If the gas system is leak free, the gauge reading will stay the same as when the gas bottle was turned off. If the gauge pressure drops, there is a gas leak in the system. The leak could be caused by a hole in the gas hoses or defective fittings and gaskets. If the system has a leak, check all fittings to make sure they are tight, and make sure that gaskets are sealing. You can also pinch the hose where the torch connects and trap gas from where the hose is pinched back to the regulator. If the leak stops, it is probably in the torch. Check for cracks in the torch body. If the torch has a back cap, check the o- ring on the cap and check the cap for holes or cracks. After it has been determined that the gas system is leak free, the system needs to be purged. Purging the gas lines will clean all of the moisture and oxygen out of the lines so that you will only have good clean gas in the system. Turn the pilot gas flow up to its highest flow rate, and let the gas run through the lines for at least 30 minutes to an hour. Next, start a pilot arc, and let it run at normal pilot arc gas settings (0.4 to 0.6 liters per minute) for 10 minutes. Turn off the pilot arc, and check to see if the color of the tungsten electrode is gray. If it is gray, the gas system is clean. If the color is black and blue, the system needs to purge longer to make sure it is clean. If your welding system is shut down over night, air with oxygen and moisture will get up inside the plasma torch. Before starting to weld on the next day, you need to again purge the gas lines approximately 5 to 10 minutes before starting to weld. You may want to turn the pilot gas down to a very low flow, such as 0.1 liters per minute, and let the gas run all night to keep the gas line clean. It will be such a low flow that it will not be of any economic importance. When the pilot arc is turned off, let the gas continue to flow for at least 10 to 15 seconds before turning off main power. The gas flow will keep the tungsten electrode from oxidizing until it cools down. Whenever thinking about electrode life, electrode contamination, ease of arc starting and arc stability, you should not forget that the exchange of ions takes place within the plasma column in both directions: from the electrode to the work piece and from the work piece to the electrode. If impurities such as lead, sulfur, aluminum, magnesium, copper, zinc, brass, oil, grease or any other dirty elements are on or in the material being welded, they will contaminate the tungsten electrode and nozzle. You then cannot count on the maximum number of welds before replacing the tungsten electrode and weld nozzle. Clean the nozzle orifice with acetone or alcohol and a Q-tip. A round wooden toothpick can be used to clean the orifice of the nozzle. Weld nozzles trap contamination during welding and will need to be cleaned every time the tungsten is re-ground. The pilot arc should be bright white with a light blue tint. If the color changes to orange or purple that is a sign of contamination. The pilot arc may draw back into the nozzle, which is a sign that the tungsten electrode has deteriorated. WARNING: It is extremely important, when tightening the nozzle onto the torch head, that you do not over tighten the nozzle and strip the threads. Copper is a very soft material which makes it easier to over tighten the nozzle. Tighten the nozzle until it barely makes intimate contact with the end of the torch head. It is recommended that pliers be used to tighten the nozzle. Be careful not to grab the torch head with the pliers. Be careful not to cross thread the nozzle. If the nozzle is cross threaded it will damage the threads inside the torch head. Do not get dirt, grease or oil inside the torch head or on the nozzle threads. This will damage the threads in the torch head. If the torch head is damaged by the pliers, it can cause a gas leak between the nozzle and torch head and the nozzle will not seat properly against the water cooled part of the torch head. If the threads are stripped, and the torch head is damaged, the torch will have to be replaced. Periodically clean the inside of the torch and threads where the nozzle seats with alcohol or acetone. Make sure that technician’s hands are clean when servicing torches. Dirt, oil, grease and grit are not acceptable on any of the torch parts. The plasma welding torch is an expensive device and should be handled with great care. The type of hose material that the pilot gas and shield gas are passed through is very important. All plastics can have moisture and oxygen that diffuse through the walls of the hose material. When welding sensitive materials such as titanium the welding system may need to be plumbed with stainless steel gas lines. There is no way to tell a welder which tungsten is best for his application. Welders use different power supplies with different types of arc starters. Each welding application uses different gases and electrode tip configurations. Also, the material being welded will vary. Other factors such as weld speed, pulsing, number of arc starts and how the tungsten is sharpened will affect tungsten life. It is recommended that you test the tungsten before putting it into production. Ask us for a free sample tungsten electrode to conduct your own test. Can the composition of the Tungsten Electrode Improve Weld Quality? Over the past few years, several other tungsten electrode types have been formulated that offer specific advantages for certain applications. Cerium has replaced Thorium for a tungsten alloy that offers great arc starting performance with no radioactivity like thorium. Lantanum has also been added to improve arc starting and offers better performance for certain applications. 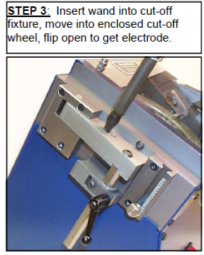 The proper choice of electrode type can improve welding processes by offering improvements in arc starting and offering longer life between re-sharpening. For very low current applications, the Ceriated and Lantanated Tungsten Electrode materials can give much better performance. Process Welding Systems has a complete stock of welding electrodes. 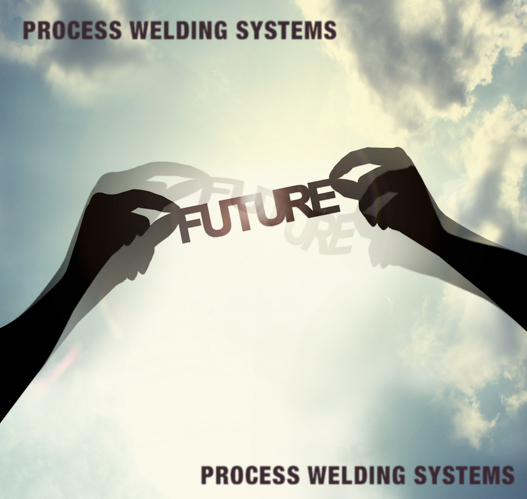 Contact Process Welding Systems today and see if changing the tungsten electrode type can improve your welding process. 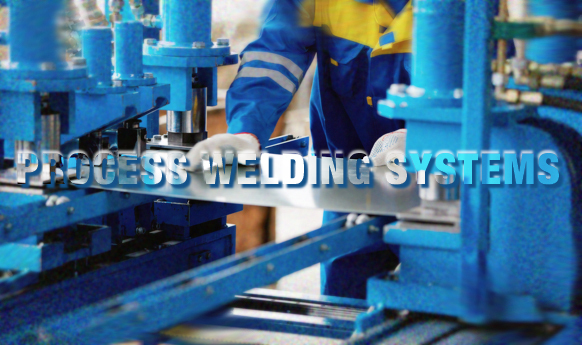 Established in 1993, PWS assists industry in automation of high quality welding. Our commitment is to provide plasma welding and TIG welding solutions for a broad range of applications, specializing in the joining of small precision components. 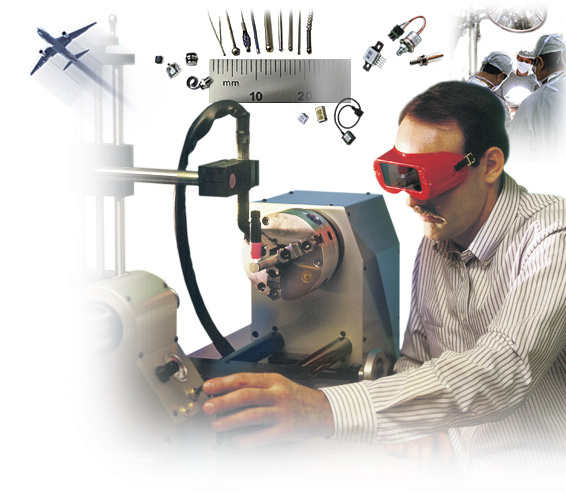 We provide a comprehensive line of precision welding services and equipment. A weld lab is available to provide weld samples, weld development and weld training.